What do the Transitional Arrangements mean? If you held a 457 visa or had applied for a 457 on or before the 18th April 2017 you still have the opportunity to apply for Permanent Residence under ENS or RSMS, under the 2- year pathway (Temporary Residence Transition), regardless of what 457 occupations you hold. If you held a subclass 457 visa on 18 April 2017 and continue to hold this visa or a 457, TSS, or related bridging visa at the time of application for ENS or RSMS then you can still apply for PR, even if your sponsor has changed. If you lodged a subclass 457 visa application on or before 18 April 2017 which was subsequently granted and continue to hold this visa or a 457, TSS visa or related bridging visa at the time of application then you can still apply for PR even if your sponsor has changed. The minimum period an applicant is required to have been sponsored in their nominated occupation with same employer as the holder of a subclass 457 or TSS visa will remain at two years. 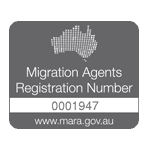 Visa holders who applied for a 457 visa after 18th April 2017 or a 482 visa from 17 March 2018, then the new requirements apply for ENS (e.g. Occupation must be on the MLTSSL list, age requirements of under 45 years and three -year transitional period).